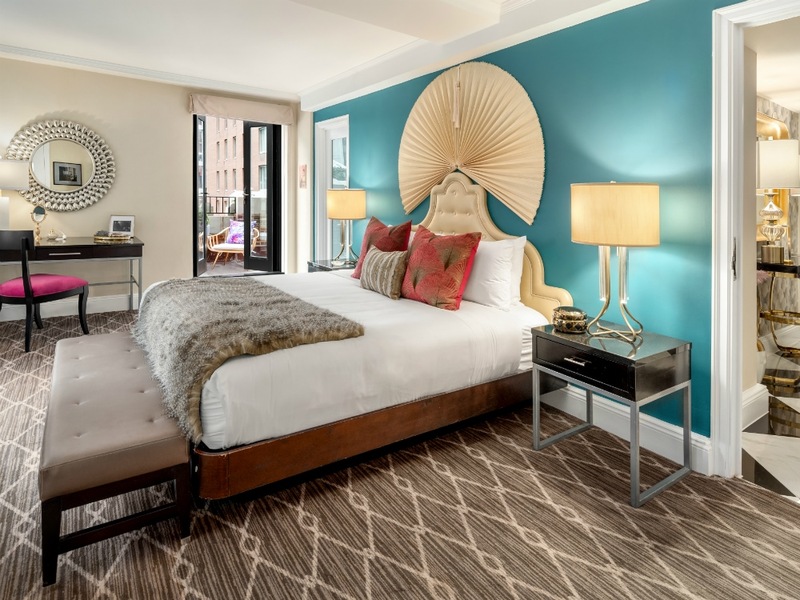 With its latest makeover, The Lexington Hotel unveils a collection of five unique specialty suites—designed by renowned interior design firm Fringe—that pay homage to the property's rich history and most famous visitors and tenants. 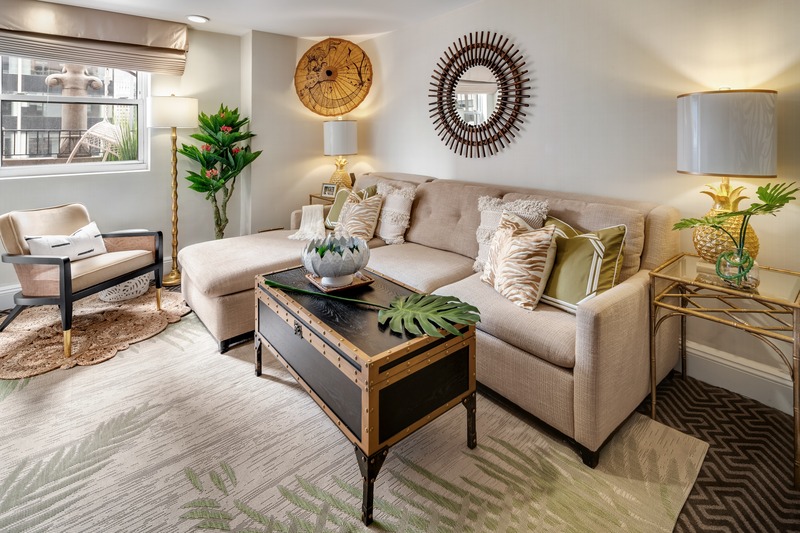 The stunning 900-square-foot Lady Ella Suite, inspired by the glamorous "Queen of Jazz," Ella Fitzgerald, honors the late singer's cultural impact and career. The space has a regal motif, juxtaposing deep magentas, turquoises, and gold elements beside bold custom feather throw pillows. Guests will immediately recognize the jazz-themed ambiance, echoed by the art deco scalloped wallpaper and authentic album cover art of Fitzgerald. 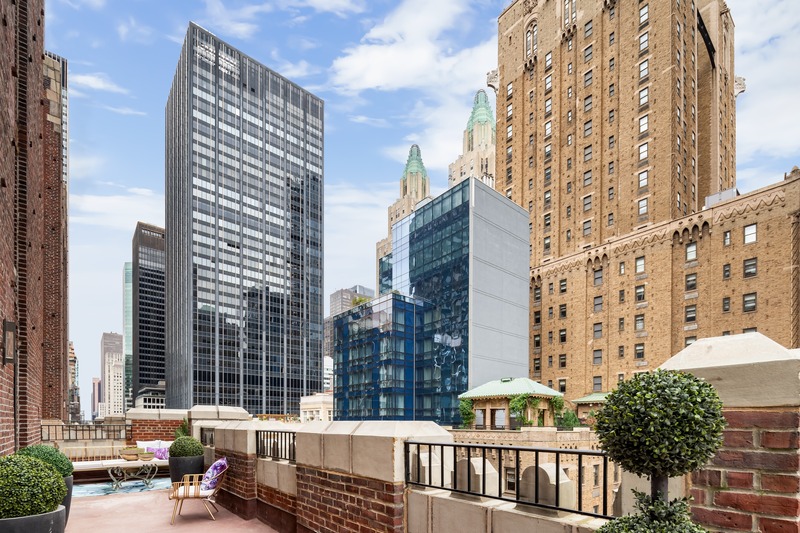 And no grand two-bedroom suite honoring Fitzgerald could be complete without its own private terrace—one of the hotel's largest accomodations. 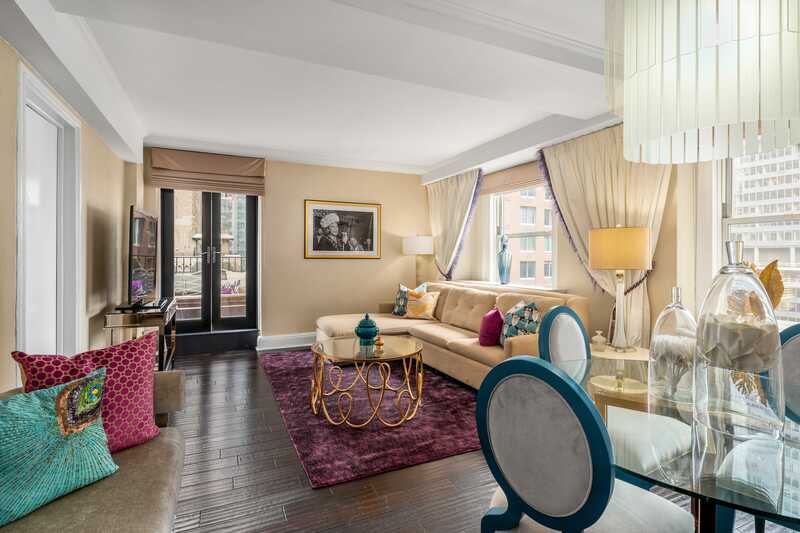 Legendary radio and television host Arthur Godfrey has his own larger-than-life suite in The Lexington Hotel as well. A retro bar and lounge make the new space optimal for entertaining with family and friends. 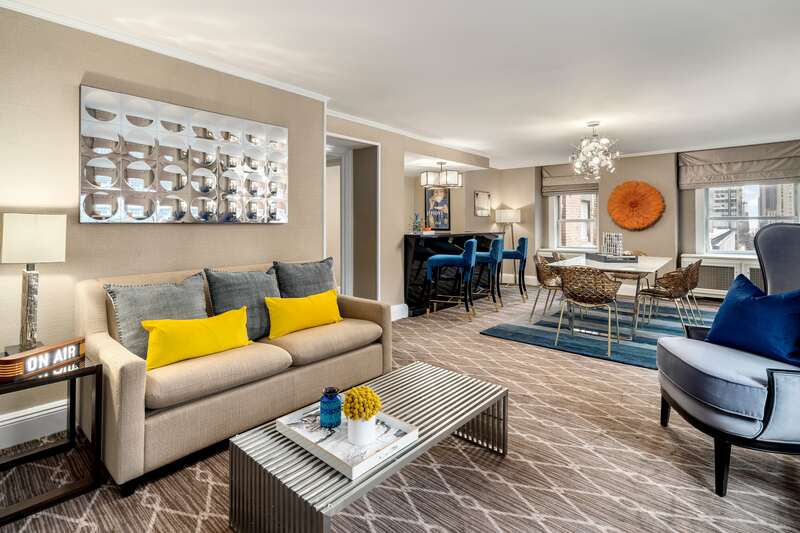 Take note of some of the suite's subtler nods to Godfrey, found in the throwback blown glass barware, luxe custom velvet stools, marble and chrome dining table, and vintage memorabilia including some of the radio legend's recordings and custom "on air" sign. From 1937 through 1966, the Hawaiian Room served as a beloved entertainment venue at the Lexington Hotel. 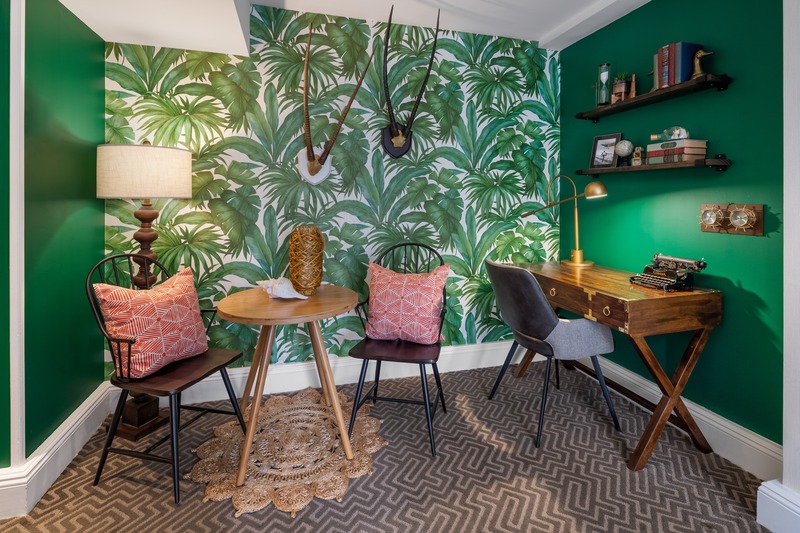 So, there's no surprise that it has inspired a room in the hotel's latest collection of suites. 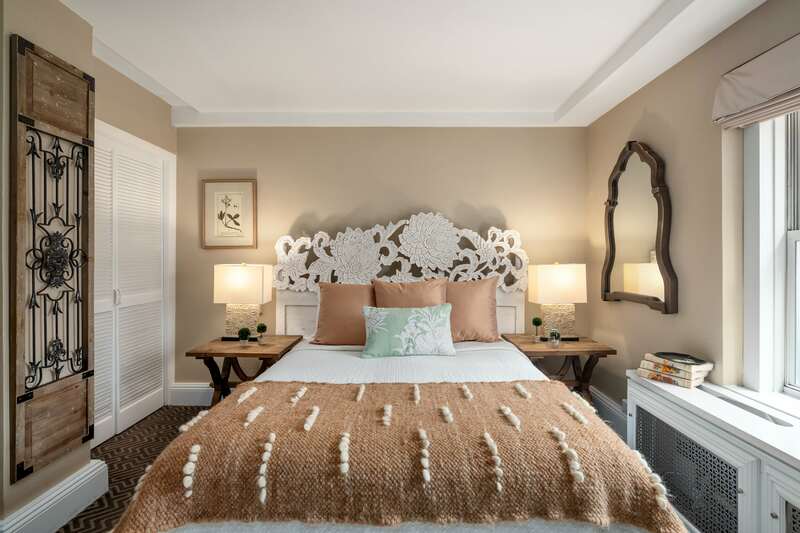 Hearkening back to its tiki roots, this suite offers guests a plethora of Polynesian-inspired amenities, including vintage barware such as tiki glasses, and decor elements, which include a Hawaiian gourd drum and conch shell horn. The Hawaiian Room will also feature a unique Hula girl statue made from lava rock and vintage woven palm leaf fans. 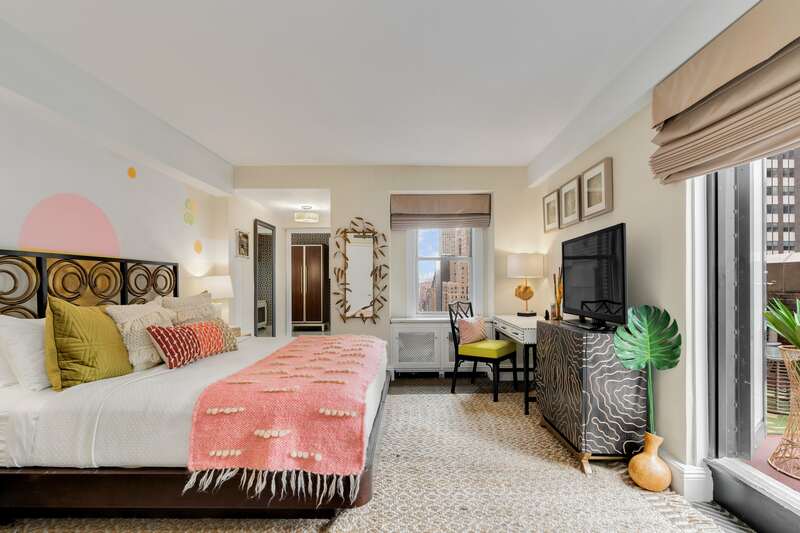 This one-bedroom suite, inspired by American writer Ernest Heminway, aims to channel the author's propensity for adventure. Focal points include some of the writer's favorite things, such as a dark mahogany desk, where Hemingway would have written. 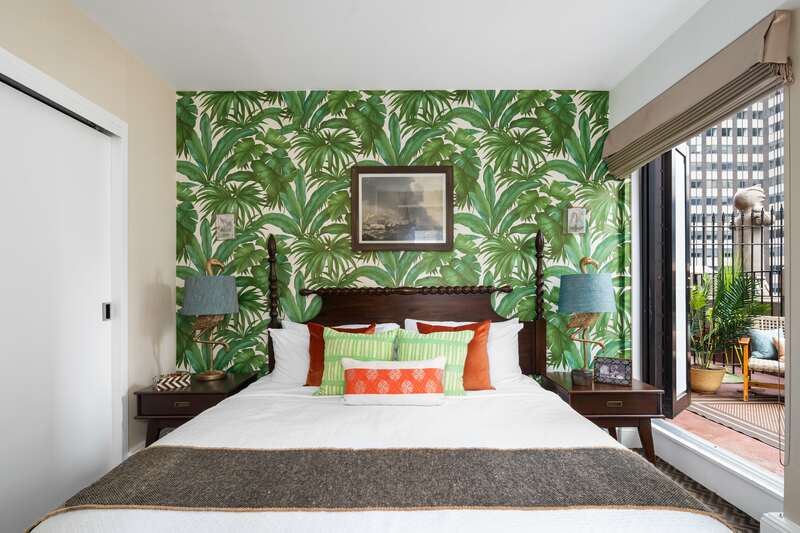 Outfitted in a palm green, hemp, and walnut space, The Hemingway Suite boasts two private terraces, a collection of Hemmingway’s novels, a tropical banana leaf Versace wallpaper, vintage typewriter, Panama hat, collection of vintage suitcases, Cuban cigar box, and a mini bar with his preferred beverages. 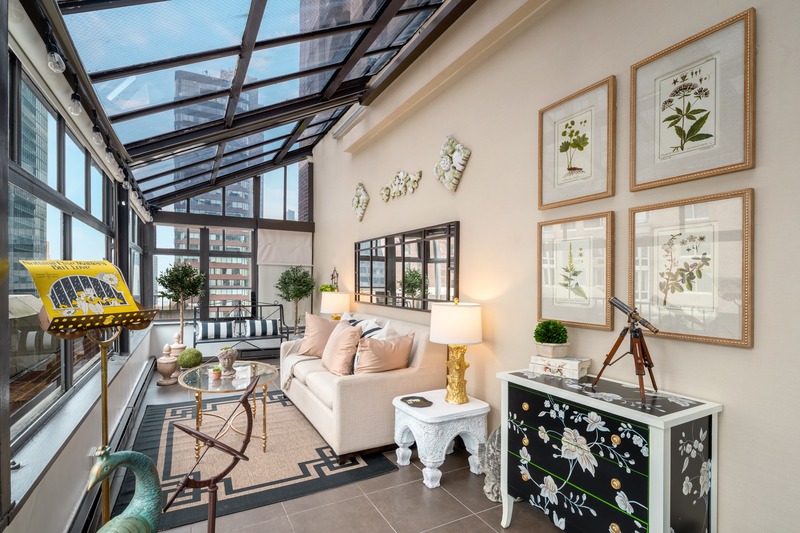 From this 385-square-foot suite, which also has a 200-square-foot living room, guests can get a spectacular view of the Manhattan city skyline from their glass-enclosed living room. 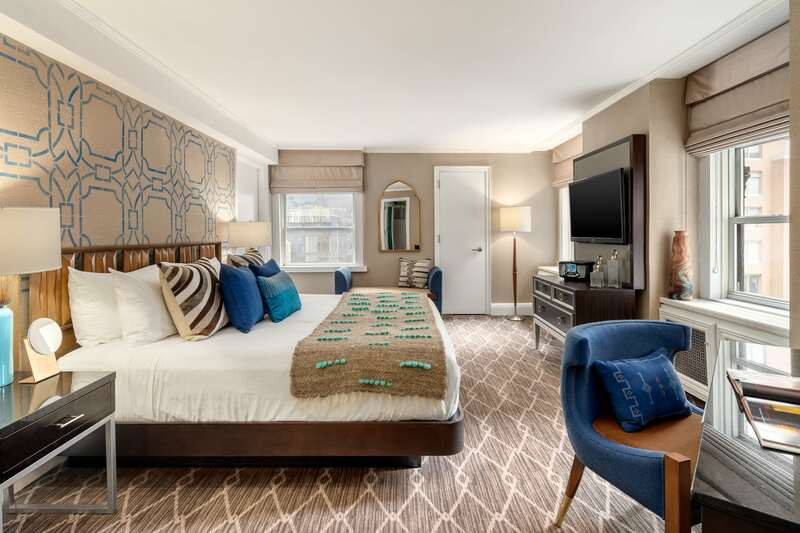 Originally conceptualized by Schultze & Weaver when The Lexington Hotel was built in 1929, The Conservatory Suite commemorates the historic architectural heritage of the hotel by celebrating the style of living space popular during its inception. But notable upgrades to the suite include a hand-carved tropical hardwood bed with a floral lotus theme, a set of Antique Illustrated Dictionary of Gardening from the late 1800’s, a hanging English Zinc Chandelier with candles and moss, topiary trees, custom artwork made of preserved Queen Anne's lace flowers pressed in glass, and countless other bespoke treasures.